Ash Street Place is the only assisted living facility in Guthrie. And, we are located in the heart of historic downtown. We are family owned and operated by long-time Guthrie residents. We offer high quality personalize care by friendly, professional staff. Our residents enjoy a dignified, beautiful environment at Ash Street Place. We believe that you can speak volumes about the community in which you live by embracing the elderly and their wonderful spirits. The owners and managers see that the staff have all the tools, equipment and supplies we need to provide the best care for our residents. Guthrie has beautiful neighborhoods with great architecture, great musical concerts and family-oriented events like parades, races and craft sales, all year round. We are a part of the Chamber to stay updated with concerns of the members and keeping in touch with the needs of our community so we can be a part of the solution in continuing to make Guthrie all that it can be. I share a smile with our residents every day! Today we spotlight Simone's Cafe. We asked questions to Alex & Debra Purviance. They are the owners of Simone's Cafe. Have fun reading! Simone's cafe is a small locally owned and operated cafe. Located on the edge of Historic Downtown Guthrie on the corner of Vilas and Division where we are serving up country/home style cooking from 6am to 2pm seven days a week. 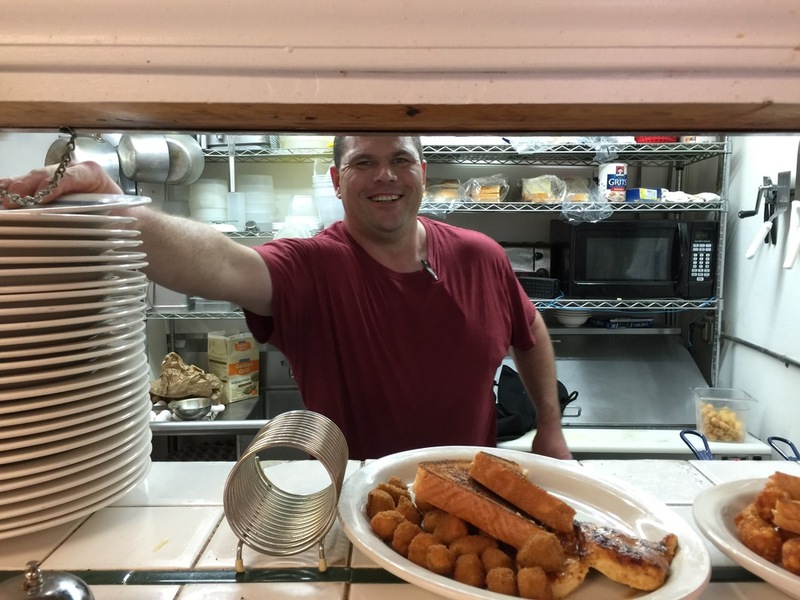 What makes Simone's cafe so great is the hard work, hospitality and dedication of its staff. Since we are a small restaurant we are able to be personable with our guests. We try to learn names and preferences and accommodate when possible to make our guests a pleasant dining experience. What makes Guthrie such a great community has to be the people. The people of Guthrie have shown us so much support. Guthrie is also our home town so many of our customers are our friends, family and former classmates. We invest in the chamber because we want to network with other local businesses. Hopefully share common goals to help grow our community. The last thing that made me (Alex) smile was seeing my beautiful wife (Debra) carrying groceries into work. Simone's Cafe | 223 S. Division St, Guthrie, Ok 73044 | See there Facebook Page.